ultimate guide to naming your business. Are you torn between the options of creating a personal brand or a business brand? Or are you just figuring out where in the heck to start? Your business name is a key component of your brand and there are long-term implications to consider. A well-crafted name will save you from having to change your business name later on, something that can be time-consuming and extremely costly, not to mention frustrating. In a sense, naming your business and committing to marriage share similarities; and having to change your business name can feel like a divorce. Take my word for it, I chose to rename our business from Brands for the People to Brands for the Heart a few years ago. As a branding expert, I’ve worked with clients all over the world and I’ve even worked for one of the world’s largest branding agencies. I realized if I could find myself in this position then IT COULD HAPPEN TO ANYONE. One of the main mistakes businesses make is that they fall in love with the first business name they come up with because they get overly attached to the name. Doing that is like marrying the first person you fall in love with, which doesn’t always work. Not to worry. Brands for the Heart has put together this guide so that you’ll fall head over heels with the right name for your business. Without getting into it play-by-play, the important thing for you to know is that if you plan to Trademark your business (and I recommend you do) that you pretty much need an original name. Most business names are DESCRIPTIVE making it more difficult to ensure you are in virgin territory with your business name and that there is no potential to confuse your customers. The problem even though it’s describing what your business does, it often creates confusion for customers because most businesses use similar words in their business name. More over, it makes it NEARLY IMPOSSIBLE to trademark your business name. For a list of great names (along with tag lines), click here. Come up with over 100 names before you stop to make a decision. I often see entrepreneurs come up with three to five names and stop there. Part of the creative process is to push yourself towards greatness. They say you have to take a hundred photos until you get a good one; the same is true with naming your business. The more you explore, the more confident you will be with the decision on your business name. Changing your name now could save you the headache of having to do it down the road. As an impact entrepreneur, you have better things to do than to return to the drawing board and renaming your business when your business is taking off. I often see entrepreneurs naming their business for short-term goals which ends up limiting their potential revenue streams. Imagine if Amazon called themselves “the online book store” – they would have had to rename their business when they started selling products that weren’t books. Click here to develop a longterm vision plan. Open up a new word doc and let loose! Nobody’s watching you, so record every idea, even the “bad” ideas. Once you have created an exhaustive list of words start exploring how you could combine those words to make up a completely new word like Skype which was derived from “sky peer to peer” or Lego which combines two Danish words “leg godt” (meaning “play well”). Explore far and wide to see what might work for you. Come up with 100 names! Brainstorm freely and then whittle the list down from there. Consider consulting with a trademark lawyer or agent to err on the side of caution. Okay, deep breath. That’s a lot of information, and there’s more to come. Do you feel ready to jump in? Need to chat with a branding expert directly? No problem, schedule a call with us today! Achieving internal clarity starts off with your brand’s vision. Where is the future of your business? Don’t limit your business by giving it a name that’s based on what’s going on right now. Again, I ask you to imagine what would’ve happened if Amazon had named themselves “The Online Bookstore.” Sure, this business started out selling books but clearly had goals to service more people. Ask yourself the same questions that you would when choosing a partner that you would marry. What is that compelling future? Do you want to have babies? Where do you see your brand in five years? Where do you see your brand in ten years? This is important because when you choose that name for your business it will help you grow into it. Speaking of vision and mission statements, do you know the difference? Take this fun quiz to find out. Try this: Once you come up with a name for your business, tell a few of your friends about it and call them up a few days later. Here’s the test: will they remember it? Try it! A likeable brand name starts with being memorable. 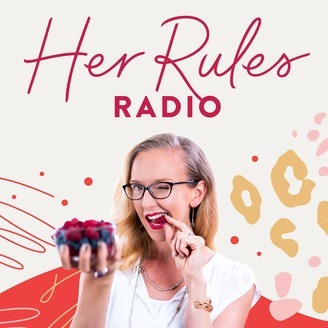 When Alexandra Jamieson hired me to rebrand her #1 hit podcast on iTunes, we came up with “Her Rules Radio.” This name has a reoccurring “R” sound which exudes the playful nature of her brand and makes it memorable. It also passes the two tests below. Do you want to forever spell out the name of your business? You do not! So try this: When you’ve come up with a memorable business name, put it through the “spell test.” That is, tell someone the name of your business and get them to spell it out for you. Did they spell the name the way you want it to be spelled? This is important because when people type your business name into Google, you want them to actually be led to your website rather than another brand’s. You’ll probably need a different group of friends to conduct this test so bear with me! Try this: If you write your business name on a piece of paper, do people consistently pronounce it the same way? And is that the way it is supposed to be pronounced? Apparently, the greek yogurt Fage does not sound like ‘page’. But more like, FA-Hey. I know people who eat this stuff every week and most have been saying the name wrong this whole time! Bonus! Should you name your business after yourself? I’ve worked with many business coaches to answer this question. If you are an author, a speaker, a coach or expert then it’s okay to name your business after yourself because as your business evolves and your brand has babies, you will remain constant. For one of my clients, Dr. John Izzo, naming his business after himself was a good decision. Since his business revolves around his expertise as a corporate advisor, author and public speaker, he can create products and services (“babies”) without ever changing his name. Another great example is Marie Forleo, host of her own hit web series, Marie TV. Marie Forleo is also a life coach, motivational speaker and author. Aside from her web series, she also created B-School and The Copy Cure for aspiring entrepreneurs. In this step, conduct a thorough Google search to see if your business name or a similar variation is already being used. If there are similar business names, you may want to make alterations to avoid any confusion. As I outline above, most business names are descriptive like Bed, Bath and Beyond, Network Solutions, and Whole Foods. Remember way at the top of this page when I mentioned that I had to rename my business? The issue was the trademark. I have seen first-hand how EASY IT IS TO MAKE A MISTAKE IN NAMING YOUR BUSINESS and how important it is to be pick the right name for the trademark. Here, I want you to take into account trademark registration and formalities to avoid any legal disputes. Is it available on GoDaddy? Can it get a .com, a .net, .me? Also, search for the name in trademark registries. As I mention above, consider consulting with a trademark lawyer or agent to err on the side of caution. I see a lot of entrepreneurs redoing what one of their competitors have done. Think about how you can go out into the market and be different. In the early stages of working with my clients, I help them become the first, the best or the only in their market. Most importantly, I coach them and help them answer this question: Why would your customers care? Branding is about how you stand out and how you are different. Branding is the emotional IQ of your business so make sure your brand name is differentiated. One of my favorite examples of this is my fellow Canadian, Louise Green. In 2008, she founded Body Exchange, a fitness program dedicated to the plus-size community and has since coached over a thousand women. What if your business name had babies? What would you name your product and your services? I go more in depth into the topic of brand architecture here. To summarize: your products and services are created directly as a result of your brand. To help you consider your brand’s architecture early on, create a manifesto. A great example of this is one of my clients, One More Woman. Check out their full manifesto here. As you can see, One More Woman helps women create million dollar businesses. 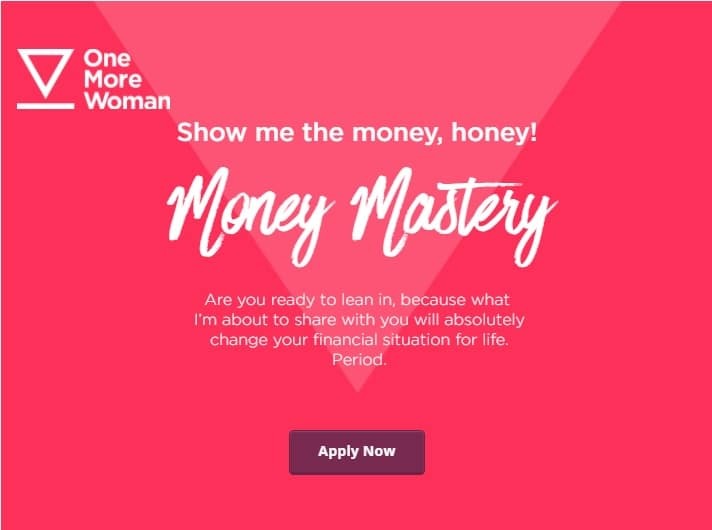 The name of their services, Money Mastery and Money Talks are aligned with the mission statement and manifesto of their business. Apple is another perfect example of this; the consistency in the names of their products – like the iPhone, the iPod, the iPad – demonstrate how brand architecture had been considered early on. You’ve made it! You’ve learned about the different types of business names, made it through the Dos and Don’ts, got started on internal clarity and customer likability. If you are feeling exhausted with coming up with the right name for your business then here’s a virtual high five for you. All my clients go through this process. If you haven’t found the right supportive group to help you with the Say It test and the Spell It test, here’s an idea: Join a Facebook group for entrepreneurs! There are many out there and many are free. Yes, it does take time to find the right one but it’s worth it. After you spend some time getting to know a group, select a few people who you’ve come to know and trust then, run the tests on them. If you need assistance with renaming your business or other aspects, please reach out using the form below.